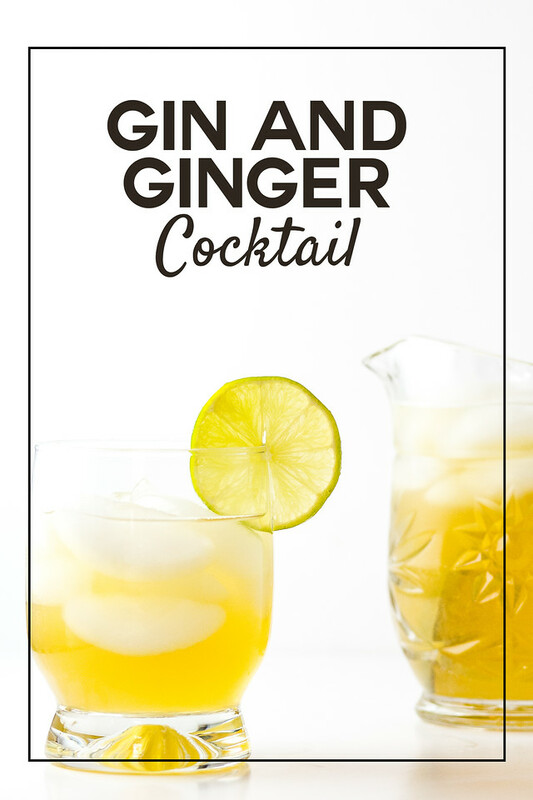 This Gin and Ginger Ale Cocktail is so refreshing with the double ginger! Ginger ale and ginger liqueur make it especially delicious! Liquor of choice? Gin, all the way. Well, except for tequila. Actually I’m fond of a lot of liquors, but gin makes it to the top because of gin and tonics. I love them. They are the perfect cure for a rough day. I also love ginger and went scrolling the web looking for an easy gin cocktail that might combine my favorite gin with my homemade ginger liqueur. At Sweet Paul Magazine, I found a gin and ginger ale cocktail that also included ginger liqueur. Perfect. Click here to pin this Gin and Ginger Ale Cocktail. This cocktail is wonderful and so easy to make! You simply mix your ingredients in a small pitcher and stir. Then pour into a rocks glass filled with ice and garnish with a lemon slice! While I highly recommend the ginger liqueur, especially if you use my homemade ginger liqueur, you can make this cocktail without it. Gin and Ginger Ale is called a Gin Buck and with only two ingredients joins my other favorite two ingredient cocktail, a Black Russian and a Violette Royale. This Gin and Ginger Ale Cocktail is so easy and so refreshing! Mix all the ingredients in a small pitcher and stir to combine. Pour into an ice filled cocktail glass. Garnish with a lime wedge and candied ginger. This cocktail is beautiful and the name has a nice ring to it! Love the citrus garnish! I love gin-based cocktails! And the addition of the ginger syrup to this one just makes it so unique. Perfect to transition to fall. It is a great transition cocktail! You need to make the home liqueur, it’s so easy and so good! Gin is one of my favorites, too, and I love anything and everything ginger. This is so up my alley! 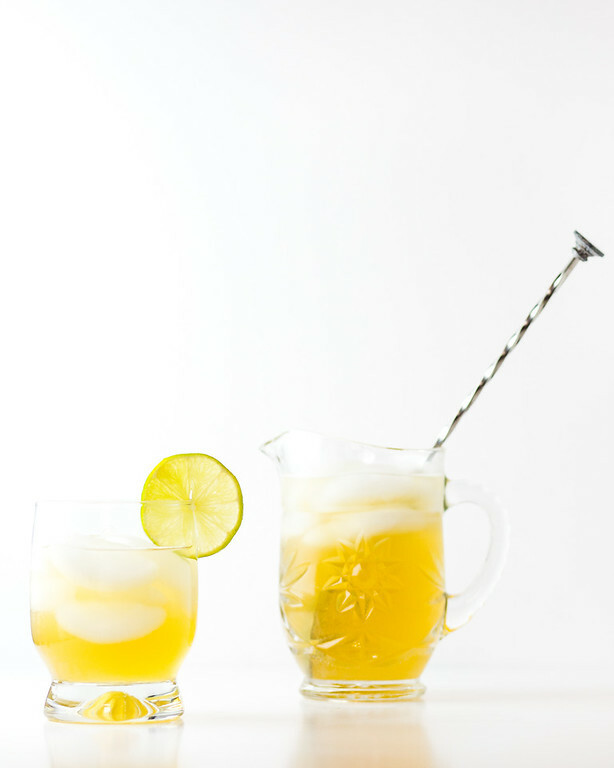 I love ginger ale and this sounds like the perfect grown-up version!